Forget the new year, this is the beginning of a whole-new Holden. And 2018 might just shape as the most important year in the brand's long and storied history. The end of local manufacturing - taking with it our homegrown favourites - means Holden is now an import-only company, so it can no longer rely on any kind of patriotism to shift Lion-badged product. We won’t dwell on that again here (you can read all about it here), but suffice to say, the Holden of tomorrow - successful or not - will be unrecognisable from the Holden of yesteryear. But worry not, says (a probably very worried) Holden, as there are a ton of cool cars en route to Australia that will keep interest in the brand pumping. And perhaps none are so important as the new Equinox. The American (although it’s built in Mexico) mid-size SUV replaces the five-seat Captiva, and will enter the fray against some of Australia’s best and most popular cars (think Mazda CX-5). But if it can shine, it will mean some serious sales for Holden. We spent a couple of weeks behind the wheel of the top-spec LTZ-V model to see how it stacks up. It's big but a little bland, this Equinox, although the good news is that it isn't over-designed like some of its Japanese competitors (we're looking at you, Toyota/Lexus), so it cuts a simple and understated figure on the road that is unlikely to age poorly. Still, it's a touch simple for our tastes, and its side profile looks a little like it was designed as a smaller car before a pop-out extension was added at the back. Front on, a tall-and-wide grille stretches almost to the edges of the bonnet, where it meets a pair of simple, squared-off headlights that wrap around into the side of the body. It's a bold and masculine front end, and looks a damn sight more premium than the car it replaces. Inside, expect a polished - if slightly busy - setup, with leather-accented seats and a thin steering wheel that feels lovely to touch - although it does lack the high-end finish of some of its strongest competitors. The infotainment system dominates the landscape, of course, but it's a big, clear and simple to use unit. 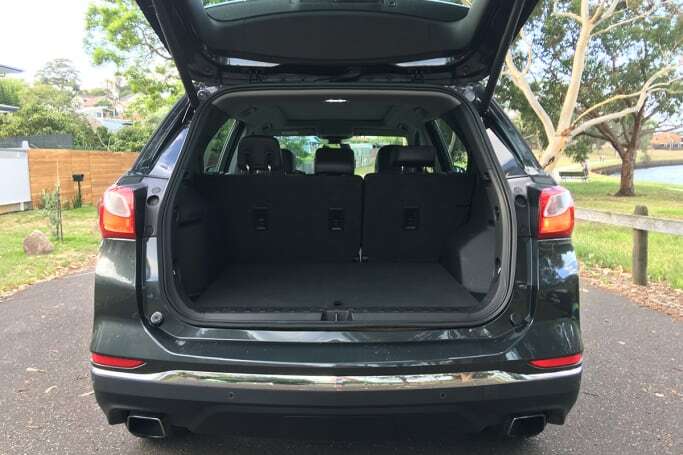 At 4652mm in length, the Equinox is on the big side for a mid-size SUV (the top-selling CX-5, for example, stretches 4550mm, while the Hyundai Tucson measures 4475mm) and so predictably that has a positive impact on space in the cabin. Up front, the super-deep storage bin that separates the two front seats is about three times the width of my forearm, so you never feel pressed up against your fellow passengers. The seats are comfortable, too, and there are two cupholders, along with a power source, two USB ports and an 'aux' input and that wireless charging pad that's big enough to fit new, plus-sized phones. Climb into the back, and the space is genuinely impressive. There's a ton of leg- and headroom, and two ISOFIX attachment points, one in each of the rear window seats. The back seat is separated by a pull-down divider that's home to two more cupholders, and rear passengers also get air vents, dual USB ports and a power source. 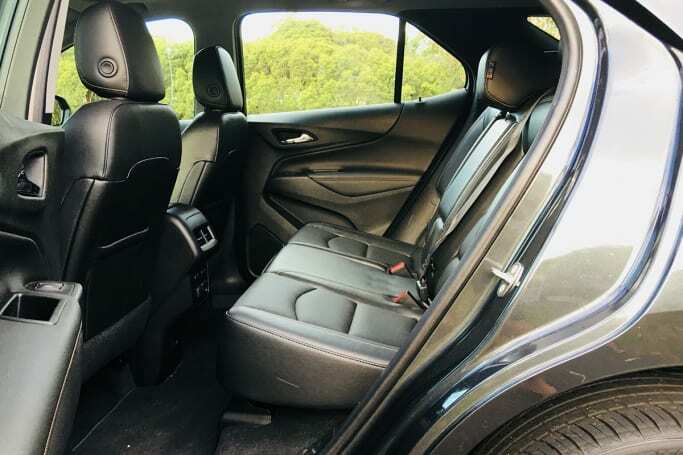 The auto-open boot reveals a big space (which, I know from experience, is more than enough to pack for a family roadtrip), with Holden claiming 846 litres with the rear seat in place, and a whopping 1798 litres with the backseat folded flat. At $46,290 (plus $550 if you opt for 'prestige paint' - our test car is a rather fetching 'Son of a Gun' grey, for example), you’re not looking at much change from $50k once you put one on the road. The good news, though, is that you can ball up the options list and toss it out the dual-pane sunroof (and then, point thoroughly proven, pull over to collect your rubbish and recycle it thoughtfully). Honestly, you will want for nothing in the top-spec Equinox. Think 19-inch alloys, powered tailgate, rain-sensing wipers, roof rails, LED head and tail-lights outside, while inside you'll get heated and ventilated seats, a heated steering wheel, wireless phone charging (though you’ll need a special case for Apple products), leather seats and dual-zone climate control. Tech is handled by an 8.0-inch touchscreen that’s Apple CarPlay and Android Auto equipped and that pairs with a Bose stereo. DAB+ arrives as standard, too, as well as navigation. 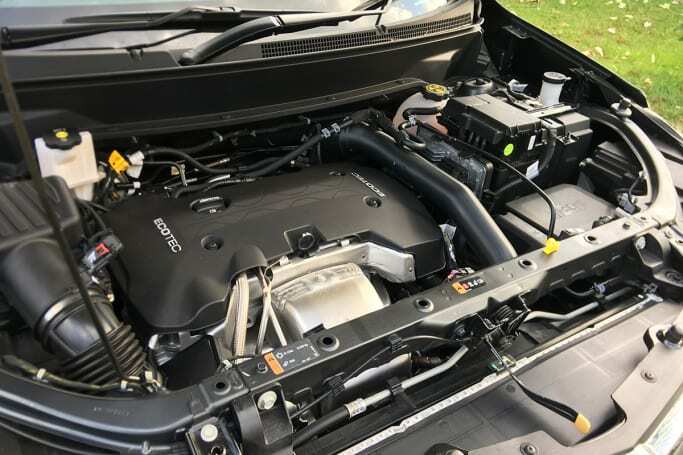 A 2.0-litre, four-cylinder petrol engine provides more than enough shove to get the Equinox moving, churning out 188kW at 5500rpm and 353Nm at 2500rpm. That power is channeled through a nine-speed automatic and sent to the front wheels, or to all four with AWD selected. Holden claims you'll be using 8.4 litres per hundred kilometres on the combined cycle, but after a heap of freeway driving we were still marooned in double digits. Emissions are a claimed 196g/km of C02. One word of warning, the 59-litre tank demands more expensive premium fuel. Without doubt the first impression is one of pleasant surprise. 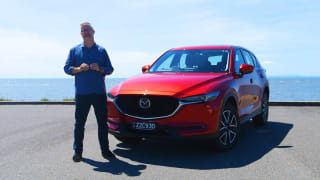 There's a lot riding on this car for Holden (not just one of the first major post-local manufacturing launches for the company, but a car that enters one of our most popular segments) and so it would be the most crushing of blows for it to be off the pace. 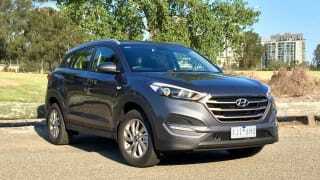 The ride - tweaked by Holden's Aussie engineers - is really very good. It's happy to glide over speed bumps and other imperfections, and yet it feels composed and solid around corners. The downside is that it lacks the dynamic composure of the best in the segment, and can feel a little soft when driven back-to-back with something sportier. The drivetrain feels mostly refined (despite the occasional chirp from the tyres), without any real harshness under heavy acceleration. But one glaring error is a genuinely ludicrous turning circle. It's almost laughable, and while I'm sure you'll either get used to it or find a way to live with it, for a first-timer, I found myself taking two and sometimes three attempts at tight parking spots or three-point turns. 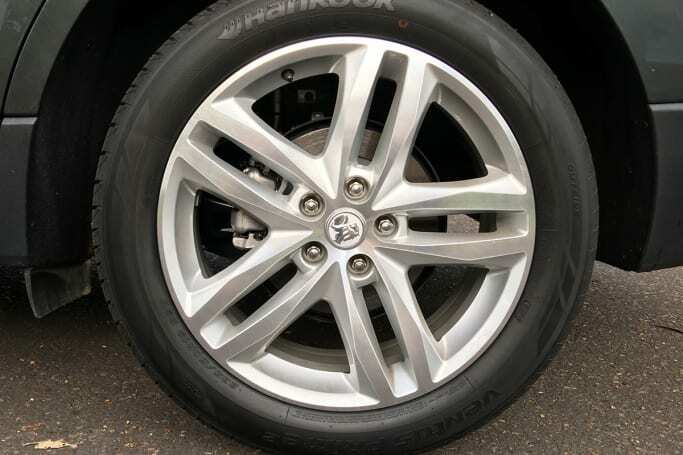 It does feel heavy when you're pushing it, straining against the outside grip of the front tyres, but Holden's team have done a top-notch job of making this thing feel like a comfortable and capable mile-eater. We even had an opportunity to test the four-wheel drive system - a fairly simple setup activated by a switch next to the gear shift. Click it on, and AWD mode allowed us to climb out of a steep driveway that had just made a mockery of a similarly sized FWD SUV. 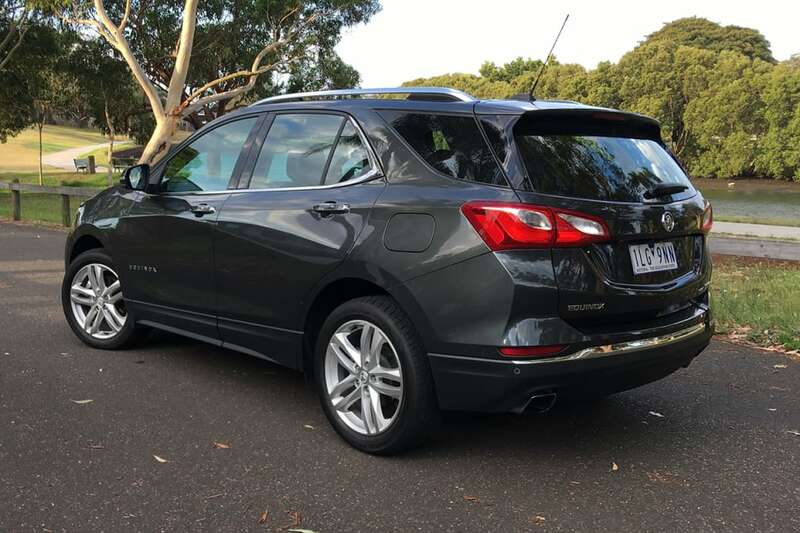 We've done a lot of kilometres and tackled every type of street or freeway imaginable, and the Equinox has been comfortable, quiet and competent throughout. But is that enough to convince people to climb out some of the segment's favourites? Is being very good, good enough? Or do you need to be really and truly great to make a stir in this tightly contested segment? Time will tell. 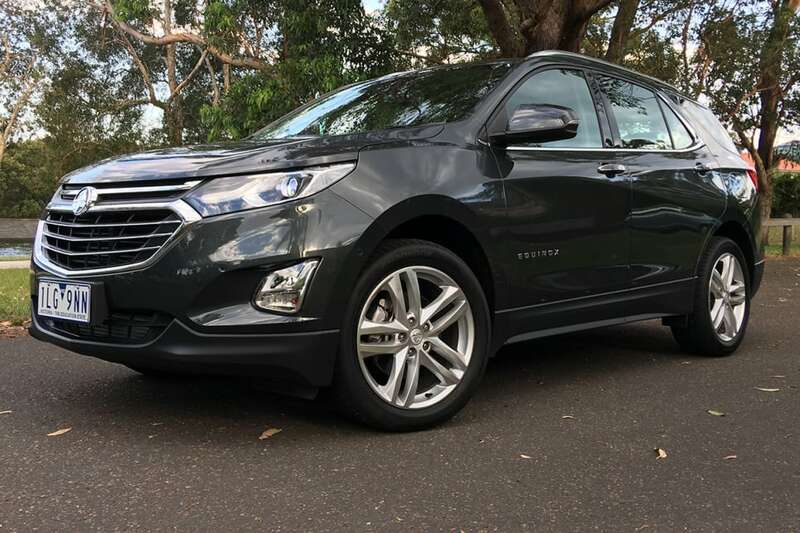 The top-spec Equinox serves up an admirable safety offering, including six airbags, front and rear parking sensors, a reversing camera and an auto-parking system that can tackle perpendicular and parallel parking. The Holden Eye camera system arrives as standard, too, adding AEB, lane keep assist, lane-departure warning, blind-spot monitoring and rear cross-traffic alert. 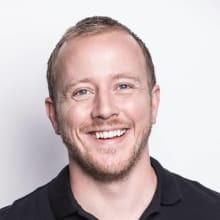 Most safety warnings are actually delivered through a vibration in the driver’s seat, which might sound a little strange, but is so much less intrusive than the usual alarms and sirens of its competition. Holden's standard warranty spans three years/100,000km, but Holden was offering a seven-year, unlimited kilometre warranty until the end of 2017. So if we were shopping an Equinox, we'd doing our due diligence into whether that offer will be extended, re-introduced, or is quietly available to those who ask nicely. 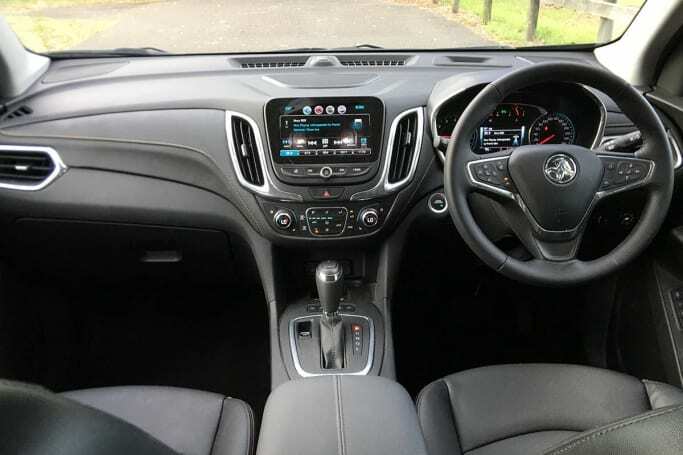 The Equinox will require a trip to the service centre every 12 months or 12,000kms, and Holden's "Know Your Cost" servicing program means owners can jump online and figure out exactly what each visit will cost them. The site currently lists annual maintenance costs at between $259 and $399, depending on the service. If the Equinox LTZ-V is a sign of things to come for Holden, then the future is looking bright. The Equinox definitely packs the skills required to mix it with the big boys in the mid-size SUV segment, and while it might not be an outright winner in any one area, it does a lot of things well enough to put it into contention. Mix that with a stacked features list and an impressive amount of standard safety gear, and the top-spec Equinox is suddenly ticking a lot of boxes. Still, the turning circle will take plenty of getting used to, as will reaching for the most expensive fuel pump every time you pull into a service station. Do you think the Equinox is a more convincing thing than the Captiva it replaces? In what&rsquo;s become a tradition of Skoda giving its cars silly names, the seven-seat mid-sized Kodiaq is named after a bear, sort of because they had to be different and swap the &lsquo;k&rsquo; for a &lsquo;q&rsquo;.